NEW YORK - The NFL has its first full-time female game official. 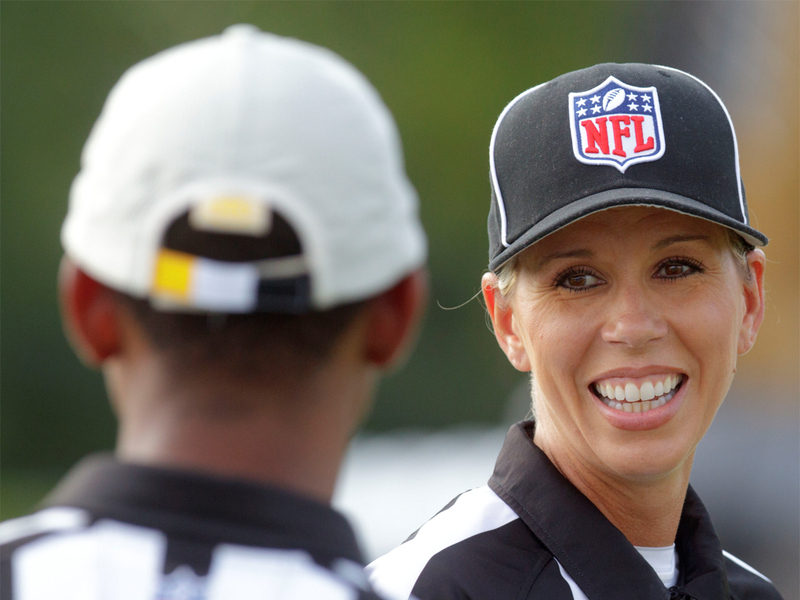 Sarah Thomas, who has worked exhibition games, will be a line judge for the 2015 season, the league announced Wednesday. The 41-year-old Thomas was in the league's officiating development program in 2013 and '14 and worked some team minicamps last year. Shannon Eastin worked regular-season NFL games in 2012 as a replacement official, making her the first female to do so in any capacity. She also was a line judge. Thomas, a former college basketball player, was inspired to become an official in the 1990s when she attended a meeting with her brother, Lea. In 1996, Thomas became the first female to officiate in a Division 1-A high school football game in Mississippi. Just under a decade later, she began officiating college games when she was hired by Conference USA, working as a line judge and head linesman. She also has worked the Senior Bowl, the Fight Hunger Bowl, the Medal of Honor Bowl, and the Conference USA Championship game in 2010 and 2014. Off the field, she's a pharmaceutical representative. She said last June her two sons and one daughter see nothing extraordinary about her football job.